FOB Port Shenzhen, Guangzhou, etc. 1, International Express.Such as DHL, UPS, EMS, ARAMEX and so on.Usually after 5 to 7 days you can get the packages. 2, Air Transportatio:.For goods above 100kg, it is a economical choice for the customers. 1, We will send the goods as fast as we can to save your time..
2, All the pictures on our website are real images of the part itself, what you see is what you get. 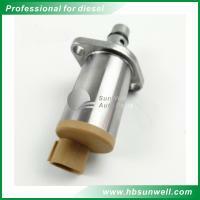 Hubei Sunwell Auto Parts Co.,Ltd. is a manufacture and trading company, our factory established for 15years, we manufactured turbochargers and fuel injection parts by oursleves, so the models and brands are in huge range, and then from 2010 we started to export our products to North America, South America, Europe, South and East Asia, Middle East and Africa markets, till now we have exported to more than 40 countries. We have four products lines, below is detailed introduce. 1: We manufacture all models of turbochargers for CUMMINS, KOMATSU, Daewoo, Hyundai, Hitachi, Sumitomo, Volvo and CATERPILLAR ect., Brands including Holset, Garrett, CAT, KKK, Borgwarner, Schwitzer ect. 2: We manufacture all models of high quality fuel injection parts for different car/truck/generator/marine, Brands including Bosch, Zexel, Denso, Delphi. 3: We distribute original Bosch and Denso fuel injection parts, including fuel injectors, fuel pump, nozzle tips, common rail ect. Welcome to your inquiry, looking forward to cooperate!